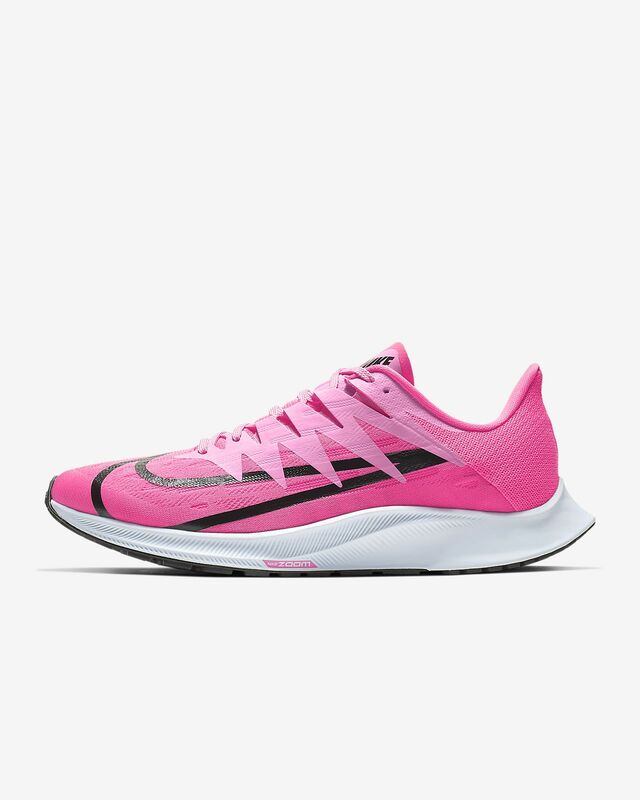 Inspired by Japan's Ekiden relay runners, the Nike Zoom Rival Fly features a futuristic look with a Zoom Air unit in the forefoot that gives you responsive propulsion. Flex grooves underneath optimise toe-off and soft foam cushions your stride. The mesh and synthetic upper blends strength and breathability. 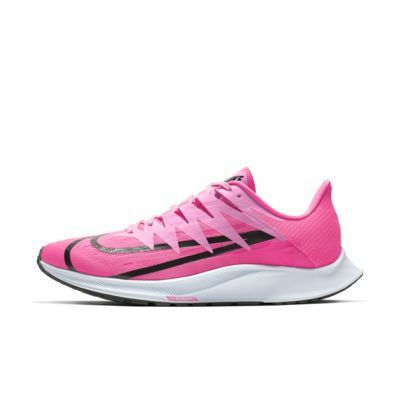 Inspired by Japan&apos;s Ekiden relay runners, the Nike Zoom Rival Fly features a futuristic look with a Zoom Air unit in the forefoot that gives you responsive propulsion. Flex grooves underneath optimise toe-off and soft foam cushions your stride. The mesh and synthetic upper blends strength and breathability. Zoom Air unit in the forefoot gives responsive propulsion. Forefoot flex grooves optimise toe-off. Mesh and synthetic upper blends lightweight breathability with durability. An internal fitband surrounds the midfoot, working with the lacing system like a seat belt for your foot. Foam provides soft, smooth cushioning. Durable rubber crash pad on the heel helps absorb footstrike impact. Small lugs in wave-like patterns enhance traction. Exaggerated Swoosh design outlines the surface in a wide silhouette. Have your say. Be the first to review the Nike Zoom Rival Fly.